From what I remember as a relatively recent college grad (especially one that covered campus events for her university’s newspaper! ), a higher ed institution’s event calendar is almost always jam packed with alumni events, plays, concerts, athletic games, guest speakers, trustee board meetings and so much more. Not only are many of these events meant to keep your campus community academically and socially engaged, but they are also often key drivers to attracting future generations and increasing revenue. This is especially important when hosting fundraising events for your alumni and stakeholder communities. Managing such events can be extra stressful, as success is seen in specific, quantifiable benchmarks and goals. 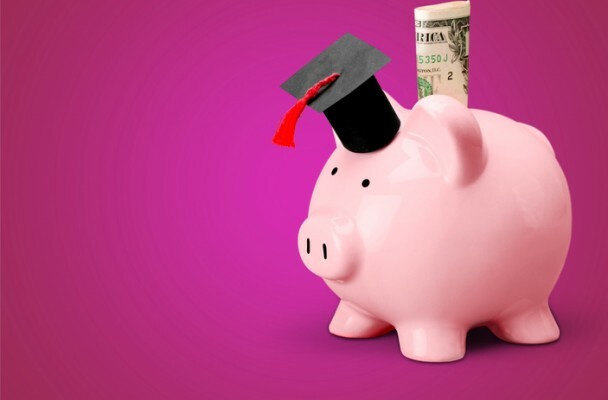 Not to mention, asking for significant contributions, especially from current college students or recent graduates can be difficult, but it’s certainly not impossible. This works well for any sized event if you have the budget and time, but perhaps you have a year-long campaign to raise funds for a new academic building with multiple events related to your goal, for example. Consider developing a unique name for your campaign, as well as a logo, tagline, color scheme, hashtag, etc. to make your marketing efforts stand out. You don’t want alumni, for example, deleting what seems to be the same old monthly university update email. Pull them in and get them exciting about attending and participating in your next fundraiser with your marketing emails! Let’s say you have a large or multi-day annual event, gala or meet-up for your university community. You might want to develop a completely separate website solely focused on these events, instead of just having a page or corner on your university’s homepage. Not only will you have all the information, photos and branding about your event in one accessible place, but it will be easier to share and find across all your marketing efforts. If your fundraiser requires travel for much of your target audience, early bird discounts and giveaways are great incentives to increase attendance. This could be a free hotel stay, VIP upgrades or even unique university swag. The latter is especially a great idea for those unable to attend your fundraiser, but still want to donate to the cause. Whether it’s a t-shirt or bumper sticker, encourage them to share their reward for making a contribution on social media with your event’s hashtag, which will attract others to get involved and possibly attend as well. Lastly, and perhaps most importantly, track as much data as you can. From clicks on your marketing emails to when/how attendees register, to demographics across the actual attendance and, of course, donations, you’ll never know how truly successful your fundraising events are unless you look at the data. Event ROI tools can help you drill deeper down into your efforts to understand what you did right and what you did wrong, which can only help you create more successful events and exceed your fundraising goals in the future. Bottom line, fundraisers and other money-generating events are crucial to your university’s growth. While your primary goals are often monetary, they’re also great events to bring your community together. By having the right tools to take your event marketing efforts that much further, you’ll find success in both areas!